Organic produce is everywhere. We can buy organic vegetables, fruits, and even “organically raised” meat. Organic beverages such as tea and coffee are also available and they are very popular. 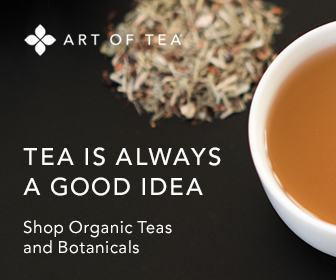 But how can you be sure the tea you buy is really organic? Organic produce, including tea, is usually more expensive than non-organic brands. What’s to stop an unscrupulous tea vendor from falsely labeling his tea “organic” simply to get a better price? What is Organically Grown Tea? Organic varieties are grown without the use of chemical pesticides or fertilizers. The soil is enriched with natural compost and a layer of mulch retains the moisture while providing extra nutrients as it breaks down. This growing method is more labor-intensive but produces superior quality tea. Tea competitions in China, Japan, and Taiwan have consistently chosen organic teas as the best teas of their class. These competitions are held “blind” so that the judges can only use taste, aroma and color as the judging criteria. In addition to the improved flavor, the organic varieties are also higher in health promoting polyphenols and catechins. These are the antioxidants that provide many of the health benefits that tea is famous for. Scientific studies have shown that these compounds are found in higher concentrations in good quality tea. Organically produced tea is also better for the tea farmer. Tea plants can live more than 100 years, and organic farming methods allow the tea plants to remain healthy for the duration of their lifespan. This means that the farmer has less expense in replacing tea plants. When You Buy Organic… Is it Really Organic? When you pick up a package of tea that is labeled “organic” how can you be sure it’s the real McCoy? For one thing, there are several governmental and non-government agencies that certify products as being organic. Organizations like the International Federation of Organic Agriculture Movement (IFOAM) and the United States Department of Agriculture (USDA) have certification programs that examine the growing practices of a particular tea plantation and issue certificates to those that meet their requirements. Packaged organic brew is required to meet the standards of the certifying agency, so look for tea that has the label of a recognized agency. Above all, however, you should rely on your taste buds to tell you whether a tea is really organic. It should titillate the taste buds with complex flavors and subtle delights. If it is not superb, it is probably not organic. You are paying a premium for this tea, so accept nothing short of the best. This article was authored by Paul Dickson, a writer for teagenius.com.